When it comes to inspiring a child to love learning, you just can’t go wrong with science experiments and STEM challenges. 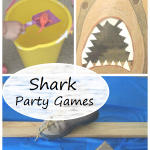 These activities tend to be very hands-on and allow kids to be creative and have fun, all while learning. 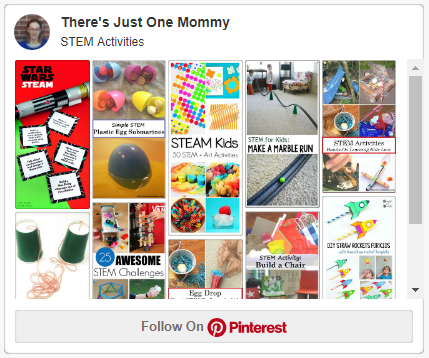 You probably already know that STEM stands for Science, Technology, Engineering, & Math. In recent years the acronym has become a focus word in the education world. STEM Activities challenge children to think beyond what they can learn through textbooks. They encourage children to explore ideas, work together, and to problem solve. These are skills that are needed as children become adults. What makes something STEM and not just math or science? Math and science are integrated in the activity, but it’s not just a typical science experiment. Usually the project revolves around the process of engineering (the E in STEM). It should also engage kids in creating and testing their designs, allowing them to try again if their idea doesn’t work at first. Egg Drop Challenge — Can your child design a container that can hold a raw egg and keep it from breaking when dropped from a high place? Coffee Filter Parachute — Find out how to make a toy parachute from a coffee filter in this quick and simple challenge. Balloon-Powered Boat — This super simple STEM idea is perfect when you are stuck indoors — and it makes bath time more fun! Building an Electromagnet — This STEM project is perfect for older elementary students and middle schoolers. Make a Paper Cup Phone — Your child will love this classic kids activity. Flying Cardboard Tube Dragon — Mix crafting and engineering to make a fun dragon that really flies. Preschool STEM: Build a Chair for a Stuffed Animal — Does your child have a favorite stuffed friend? This challenge will have them designing the perfect seat for their friend, using their imagination and recyclables. Build a Rubber Band Boat — Engineer your very own paddle boat, powered by a rubber band. This one is perfect to take outside to try, or try it in the bathtub. CD Hovercraft — This quick STEM takes just 10 minutes to do. It’s perfect for rainy days or as an after school activity. How to Build a Simple Craft Stick Catapult — Kids of all ages will have fun designing a catapult and testing how far it can fling candy or paper wads. Making Musical Instruments (STEAM) — This one is perfect for doing with a small group of kids. Afterwards they can use their homemade music instruments to form a marching band. Cardboard Tube Marble Run — Making a marble run with cardboard tubes is an inexpensive hands-on learning activity your child will love. Homemade Rubber Band Shooter — This is my son’s favorite STEM project so far! Build your own rubber band gun and learn about potential and kinetic energy in the process. St. Patrick’s Day STEM Challenge: Build a Leprechaun Trap — This open-ending project is perfect for inspiring creativity. What type of trap will your child build? Recycled STEM Activity: Taking Apart Old Electronics — Do you have old electronics at home that no longer work? Your child will enjoy having the chance to take them apart and discover how they work. Preschool STEM: Plastic Egg Submarines — Preschoolers love water play. Your child will have fun experimenting to figure out how to make their submarine sink. Building a Cup Pyramid: Teamwork Building STEM — This challenge is simple to set up and will keep kids busy working together, making it perfect for a scout meeting or as a rainy day activity at home. Create Your Own Water Wall with Recyclables — Fun for kids of all ages to make, this one is especially popular with preschoolers. Design a Boat That Floats Challenge — Can your child design a boat that actually floats? With so many possibilities, this one can be done over and over. Build a Solar Oven — Make your own solar oven and then use it to cook up some tasty treats. Engineer a Solar Still — Find out how you can use the power of the sun to purify water for drinking. Build a Shelter Challenge — Your child will have fun learning survival skills and building their very own shelter. How to Make Sun Prints — Discover the power of the sun. 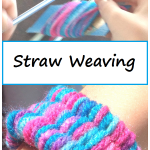 This one mixes in art, making a fun STEAM activity for summer. Make a Pumpkin Pulley — Give the classic pulley system a fun twist this fall. 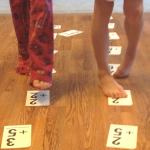 Disappearing Ghosts Activity — This one is so simple, yet the results are guaranteed to keep your child entertained for a long time. Elf Zipline STEM Project — Is your elf on a shelf stuck somewhere way up high? Help him find a safe way down by engineering a zipline for toys. Elf on a Shelf STEM: Build an Elf House — Every elf needs a safe place they can go to relax and enjoy the tree lights. 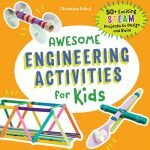 Elf on the Shelf STEM Activities — Lots of fun engineering activities for kids that all center around their favorite elf. Melting Snowman Activity — Keep your child entertained with this simple STEM project. Science and technology are ever changing and growing. Just look at how how far technology has come in the past 20 years! As a result, STEM occupations are growing at a fast pace. STEM education helps bridge the gender and ethnic gaps that can be found in math and science fields. Participating in STEM challenges outside of school allows kids to that what they are learning has real-life application. Working on STEM projects helps foster collaboration and teamwork skills as well as critical thinking. Get our latest STEM activities delivered to your email by subscribing to our newsletter.